1) (Welby-Gregory, Denton Hall, Lincoln, bart.) Quarterly, 1st and 4th, gu. on a chev. betw. ten cross crosslets, six in chief and four in base or, three cross crosslets of the field, a canton for distinction, for Gregory; 2nd and 3rd, sa. a fesse betw. three fleurs-de-lis ar., for Welby. Crests—1st, Gregory: Three garbs or, banded gu. the centre one charged with a cross crosslet sa. for distinction; 2nd, Welby: A cubit arm in armour issuing in bend sinister from clouds, holding a sword, pommel and hilt or, over flames of fire issuant from the wreath ppr. Motto—Per ignem per gladium. 2) (Styvechall, co. Warwick; confirmed, with five quarterings, by Camden’s deputies, to John Gregory, Esq., of Styvechall, grandson of Thomas Gregory, Esq., of Asfordby, and thirteenth in descent from John Gregory, Lord of Freseley). Or, two bars az. in chief a lion pass. of the last armed and langued gu. Crest—A demi boar ramp. sa. collared and crined or. Motto—Vigilanter. 3) (co. Kent; derived from a Leicestershire branch of the family of Gregory, of Styvechall, co. Warwick, and now represented by the Rev. Francis T. Gregory, M.A., Vicar of St. Mary, Platt, in Wrotham). Same Arms. Crest—A demi boar ramp. sa. langued gu. unguled, crined, and collared or. Motto—Vigilanter. 4) (High-Hurst, co. Lancaster, and Rodington, co. Salop. Visit. 1567). Per pale ar. and az. two lions ramp. endorsed counterchanged. Crest—Two lions’ heads endorsed and erased ar. and az. collared counterchanged. 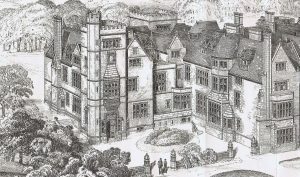 5) (Harlaxton Manor, co. Lincoln, Rempstone Hall, co. Nottingham, and elsewhere; George Gregory, Esq., of Nottingham, who derived his descent through a younger, branch from a family long seated at High-Hurst, co. Lancaster, and whose father obtained a grant of armorial bearings at the Visit, of Notts in 1662, m. Susanna, sister and co-heir of John Williams, Esq., of Rempstone Hall, co. Nottingham, and was father of George Gregory, Esq., of Rempstone Hall, who acquired a considerable estate in Lincolnshire, through hie marriage with Anne, sole dau. and heir of John Orton, Esq., of the city of London, by Elizabeth, his wife, dau. and heir of Daniel Tyrwhitt, Esq., who was son and heir of Scroop Tyrwhitt, Esq., and Elizabeth, his wife, eldest dau. and eventual co-heir of Sir Daniel de Lione, Knt., of Harlaxton, co. Lincoln; the last male heir, George Gregory, Esq., of Harlaxton, d. s.p. in 1860, and was succeeded, under the entail of the will of his uncle, George de Ligne Gregory, Esq., by the late John Sherwin Sherwin, Esq., of Bramcote, co. Nottingham, who assumed in consequence the name and arms of Gregory, by royal license). Gu. on a chev. betw. ten crosses crosslet or, three crosses crosslet of the first. Crest—Three garbs or, banded together gu. Motto—Crux scutum. 6) (Normanton). Gu. on a chev. betw. ten crosses crosslet or, three crosses crosslet of the first. Crest—Three garbs or, banded together gu. 7) (Greenwich, co. Kent, and Westminster, co. Middlesex). Or, two bars az. in chief a lion pass. of the last, ducally crowned gu. Crest—Out of a mural coronet per pale or and az. a demi boar saliant ar. crined and armed of the first, collared of the second, vulned in the breast gu. with an arrow gold feathered of the third. 8) (Stockwith, co. Lincoln). Or, two bars az. in chief a lion ramp. of the second. Crest—Out of a ducal coronet or, a maiden’s head ppr. vested gu. 9) (Lord Mayor of London, 1451). Per pale ar. and az. two lions ramp. guard. endorsed counterchanged. 10) (Lastingham, co. York). Or, two bars az. in chief a lion pass. of the second crowned of the first. 11) (Capt. William Filmer Gregory, R.N., of Hanbury Mount, co. Worcester). Per. pale ar. and az. on a pale betw. two lions ramp. addorsed three cross crosslets ar. all counterchanged. Crest—Two lions’ heads erased and addorsed az. semee of cross crosslets ar. in front of a garb fessewise or. Motto—Nil desperandum crux scutum. 12) (Ashfordby, co. Leicester; William Gregory, b. 1570, descended from Richard Gregorie, Lord of Freseley and Ashfordby, d. 20 Edward I., 1291. Visit. Leices. 1619). Or, two bars az. in chief a lion pass. of the last, quartering, 1st, ar. a saltire engr. sa. ; 2nd, az. a lion ramp. ar. crowned or, debruised by a bend gu. ; 3rd, erm. a fess paly of six or and gu. ; 4th, sa. two lions pass. in pale ar. crowned or; 5th, vair a fess gu. fretty or. Crest—A demi boar ramp. couped sa. collared or. 13) (Reg. Ulster’s Office, to Sir Henry Gregory). Barry of eight or and az. on a chief of the last a lion pass. of the first. Crest—A lion’s head erased, collared or. 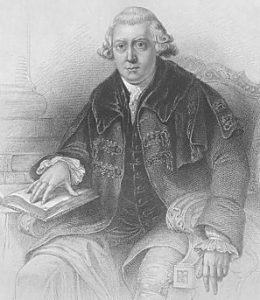 14) (Dr. John Gregory, Scotland, 1766). Ar. a fir tree growing out of a mount in base vert surmounted by a sword in bend, ensigned by a royal crown in the dexter chief point all ppr., in the sinister chief and dexter base a lion’s head erased or. Crest—A sphere ppr. Motto—Altius. 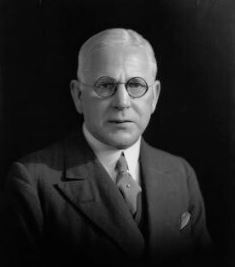 15) (Buscott, co. Berks, and Cuxham, co. Oxford, Edmund Gregory, of Buscott, b. 1620, son of Giles Gregory, of Cuxham, and grandson of Edmund Gregory, of same place. Visit. Berks 1644). Or, three bars az. in chief a lion pass. of the last. Crest—A demi boar salient or. 16) (Pliston, co. Devon). Az. within three increscents or, as many mullets ar. 17) (Lenton, co. Nottingham). Gu. on a chev. betw. ten crosses crosslet or, three crosses crosslet of the first. Crest—A garb or, banded gu. 18) (Dunkirk, 1783). Ar. a fir tree upon a mount in base ppr. surmounted of a sword in bend also ppr. hilted and pommelled or, supporting on the point an imperial crown in dexter chief point of the last. Crest—The trunk of an old fir tree fallen, from which issues a vigorous shoot ppr. Motto—Non deficit alter. 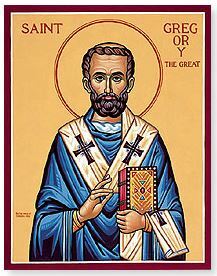 This is a baptismal or patronymic last name meaning “the son of Gregory”, deriving from the old masculine personal (first or given) name Gregory, which derives from the Latin name Gregorius, which in turn derives from the Greek name Grēgorios, meaning alter or watchful. The name was popularized throughout the Holy Roman Empire, Christendom, and Europe during medieval times and the Middle Ages due to the fact that it was born by sixteen different Roman Catholic Popes (beginning with Pope Gregory I who lived from 590-604 AD) and several saints (ex. Saint Gregory Nazianzene who lived from 325-390 and St Gregory of Nyssa who lived from 331-395 AD). The name was further popularized by the Crusades, as knights and soldiers who returned from battles in the holy land would often name their children after biblical figures of early Christian saints. The name also became associated with shepherds (because the Latin word greg means flock or herd), and was hence born by many monks. In England the name first became established in Derbyshire and Leicestershire. Evelyn Philip Shirley’s 1866 book, The Noble and Gentle Men of England; Their Arms and Descents, states the following in regard to this surname: “This family is traced back to Greogry, Lord of the manors of Freseley and Asfordby, who married Maud, daughter of Sir Roger Moton, of Peckleton, knight; his son Richard Gregory, of the same places, died in the year 1292”. In Ireland, the name first became established in county Kerry in the 1600s. Some spelling variants or names with similar etymologies include Greggory, Gregorey, Gregorie, Greagory, Gregoroy, Greegory, Greg, Greig, Grigg, Gregon, MacGregor, McGregor and over a hundred others. In the United States and Canada, the surname Gregory has absorbed many cognates (similar names) from other European languages (ex. the Italian Gligori , the German Gruger, and the Ukrainian Hrinchenko). The German family of this similar name was first located in Bavaria, which is in the south of Germany. The last name Gregory ranks 312nd in popularity in the United Status as of the 2000 Census. The name ranks particularly high in the following four states: Virginia, Tennessee, South Carolina, and Kentucky. The surname Gregory frequency/commonness ranks as follows in the British Isles: England (182nd), Scotland (695th), Wales (145th), Ireland (1,223rd) and Northern Ireland (928th). In England, it ranks highest in counties Derbyshire and Hampshire. In Scotland, the surname ranks highest in Kincardineshire. In Wales, it ranks highest in Glamorganshire. In Ireland, it ranks highest in county Wicklow. In Northern Ireland, it ranks highest in county Armagh. The 1890 book Homes of Family Names by H.B. Guppy, states the following in regard to this surname: “Derbyshire is the great home of the Gregorys, who, however, are also established in different parts of the country, Northamptonshire ranking next to Derbyshire in this respect, but they are rare or absent in the east of England and in the northernmost counties. In Derbyshire they have been established for many centuries; the Eyam family of Gregory carry their descent back to the times of Edward II. A Warwickshire family of the name begin their pedigree with John Gregory, lord of the manors of Fresely and Asfordby, Leicestershire, in the 13th century (L.); and about that time the name was also to be found in Bedfordshire and Bucks”. The name is also present throughout the remainder English speaking world: Canada (863rd), New Zealand (367th), Australia (292nd), and South Africa (1,694th). One of the earliest persons documented bearing this last name was Willelmus Gregorri who was recorded in the Danelaw Charters in the county of Lincoln, England in 1143 AD. The Hundred Rolls of 1273 AD, a census of Wales and England, known in Latin as Rotuli Hundredorum lists three bearers of this surname: Elyas filius Gregor (Cambridge), Peter Gregory (Bedfordshire), Richard filius (son of) Gregorri (Buckinghamshire). John Grigory was documented in the Assize Rolls of Somerset in 1280 AD. Charles Gregory was the Lord Mayor of London in 1451 AD. Sir William Gregory (born 162) was a British judge who served as the Speakre of the House of Commons in 1678 (and purchased the estate and manor of How Caple in county Herefordshire). In Scotland a one John Gregorie (or Gegorie?) was the minister of Drumoak in 1633 AD and a one Alexander Gregorie was heir of Master John Gregorie, his father, in 1651. The Right Honorable Sir William Henry Gregory, K.C.M.G of Coole Park, county Galway, was a Privy Councillor of Ireland, Justice of the Peace, Deputy Lieutenant, High Sheriff, Member of Parliament for Dublin from 1842-187, and Governor of Ceylon (Sri Lanka) from 1871-1876 who was born in 1817. In 1872, he married Elizabeth, 3rd daughter of the late Sir William Clay, Baronet, and widow of James Temple Bowdoin. The Gregory genealogy of this branch of the family tree traces back to a cadet of the Gregory family of Styvechale Hall, near Coventtry, who went over to Ireland. 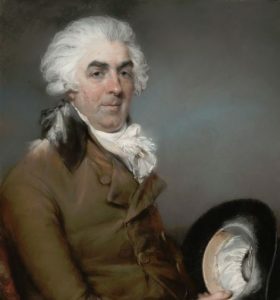 The Right Honorable William Gregory, Under Secretary to the Lord Lieutenant of Ireland, in 1789, married Lady Anne Trench, daughter of William Power Keating, 1st Earl of Clancarty, and had two sons with her: Robert and William (married Anne Levinge). 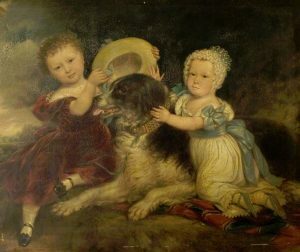 His heir was Robert, Esquire of Coole Park, who in 1815, married Elizabeth O’Hara, of Raheen, and had an only son with her: the above discussed William Henry Gregory. This family was seated at Coole Park, near Gort, Galway in Ireland in the British Isles. The lineage of this branch of the Gregory family tree traces back to Robert Longden, Esquire of Ashbourne in county Derby, England, who married Martha, daughter of John Sherwin of Nottingham, with whom he had a son named John. This John Longden, Esquire of Bramcote Hills and High Sheriff, succeeded the estates of the Sherwin family at Bramcote and other locations. In 1800, he married Charlotte, daughter of Thomas Mettan of Nottingham, and had three issue with her prior to his 1818 death: John Sherwin (see below), Charlotte Sherwin (married Edward Markham in 1840, died at Naples), and Francis Jane (died without posterity in 1858). 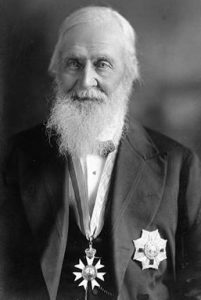 His son John Sherwin Gregory, Esquire of Bramcote Hills, county Nottingham, and of Harlaxton Manor, county Lincoln, was born in 1803. In 1829, he married Catherine, daughter of Robert Holden of Nutthall Temple and Mary Anne Lowe, and died in 1869 without posterity. His estates devolved to his wife who survided him. He was the only son of John Longden or Bramcote Hills and assumed the name and arms of Sherwin upon the death of his father in 1818. 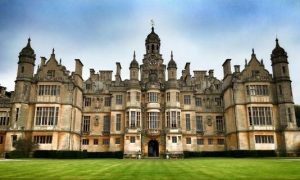 In 1860, upon the death of George Gregory of Harlaxton Manor, he succeeded large estates of that family, and named as the next in succession under the entail of the will of George de Ligne Gregory and he thereupon assumed the name and arms of Gregory only. He was a Justice of the Peace for counties Lincoln and Nottingham, a Deputy Lieutenant for Nottinghamshire, a High Sheriff for Nottinghamshire in 1829, Major of the Royal Sherwood Foresters, or Nottinghamshire Regiment of Militia, and a Lieutenant Colonel of the South Nottinghamshire Regiment of Cavalary. The Gregory Coat of Arms (mistakenly called the Gregory Family Crest by those unfamiliar with heraldry and genealogy) is blazoned in heraldry as follows: Quarterly: 1st and 4th, gules, on a chevron between ten cross crosslets or, three cross crosslets of the first, on a canton of the second, for Gregory: 2nd and 3rd, argent, on a bend engrailed azure between two stag’s heads cabossed proper an eagle’s head erased between two escallops or, for Longden. Crests: 1st, three garbs or, banded gules, the centre one charged with a cross crosslet of the last, for Gregory: 2nd, An eagle, with wings displayed proper charged on the breast and on each wing with an escallop azure, for Longden. The family motto is crum scutum. This family was seated at Bramcote, near Nottingham and at Harlaxton Manor, near Grantham, county Lincoln, England, in modern day Great Britain and the United Kingdom. This is an ancient family that can be traced back to 1162 AD wen the direct male ancestor was the Lord of the Manors of Freseley and Ashfordby, county Lancaster, England. He had a son named Richard. Richard is turn had a son named Francis Gregory around 1240 AD. Francis in turn was the father of Ralph. Ralph in turn had a son named Thomas around 1316 AD. Thomas married Isabella, daughter and heiress of Richard Segrave of Kateby. From him, the line descended down for several generations in an unbroken male line, inter-marrying with other great families of the British Isles including Dymoke, Ludlow, Marmion, Harcourt, Malyn, Billerby, Malyn, Ferrers of Tamworth Castle, Greswolde, Micklemore, Turvile, Chaplin, Hood, and Hill. A one Arthur Gregory was an Esquire and Lord of Styvechale and Binlow, son of Thomas, lived in 1581. He married Jane, daughter and heir of Sir Humphrey Ferrers, of Tamworth. He was succeeded by his son, John Gregory, Esq. and Lord of Styvechale and Brinklow. This John married Mary, daughter of Thomas Greswolde of Stoneley, and had a son with her named Love is God Gregory. Love is God had a second wife named Mary, daughter of Robert Middlemore of Haslewell, county Worcester, and died in 1654, having a son also named Love if God. This son was an Esquire of Styvechale, who married Catharine, daughter of Richard Turvyle of Higham, and he was succeeded by his son Arthur Gregory, Esq. of Styvechale, who married Prudence, daughter and co-heir of Edward Hill of Charter House. He died around 1743 and had a son also named Arthur. This son Arthur Gregory, Esq. of Styvechale, in 1716, married Ann, daughter and heiress of Sir John Chaplin of Tathwell and Blankney. He died in 1791. His son and heir was Francis, a Captain in the 10th Hussars who was born in 1757. In 1791, he married Frances, daughter of Andrew Grote of Blackheath. He died in 1833 and was succeeded by his son Arthur. This Arthur Francis Gregory was an Esquire of Styvechale was a Deputy Lieutenant born in late October of 1792. He served in the Peninsular War in the 4th Queen’s Own Dragoons and received a medal with six clasps for his service between 1809-1814. He was appointed A.D.C. to Earl Whiteworth, Lord Lieutenant of Ireland. In February 1845, he married Honorable Caroline Good, sister of Samuel, 3rd Viscount Hood, and had two sons with her: Arthur Hood (discussed below) and Francis Hood (educated at Eton and Christ Church Oxford, Major of the 15th Hussars, and was A.D.C. to several people including Lord Napier of Magdala). His son Arthur Hood Morgan Grosvenor Gregory was an Esquire of Styvechale and Brinklow an a Captain of the Scots Fusilier Guards who was born in 1834 and served in the Crimean War. The family coat of arms (mistakenly called a family shield) has the following heraldic blazon: Or, two bars and in chief a lion passant azure. Crest: A demi-boar rampant sable collared or. Motto: Vigilanter. This family was seated at Styvehcale near Coventry, England, in modern day United Kingdom. Sir Richard Arman Gregory, 1st Baronet of Bristol, county Gloucester, was a Knight, and honorable D.Sc. of Leeds in 1922 and Bristol in 1825 was born in 1865. He was a Professor of Astronomy at Queen’s College London, as well as editor of Nature from 1919-1939 and The Journal of Education from 1918-1939. He held numerous other positions in academia. In 1888, he first married Kate Florence, daughter of Charles Napier Pearn, and had one son and one daughter with her: Edgar Harold (Captain of the Suffolk Regient, born 1891, married Winifrid Mary George and later Kathleen Sybil Weeks) and Kathleen Muriel (married Captain Eric Waldegrave Fry Fowler in 1919, had children with him). He secondly married, in 1931, Dorothy Mary, daughter of William Page of Ashmere Croft. The lineage or ancestry of this branch of the Gregory family tree traces back to John Gregory of Bideford, county Devonshire, England, in Great Britain or present day United Kingdom. He had a son also named John who was of Bristol and was born in Bideford in 1832. In 1856, he married Ann, daughter of Richard Arman, of Chiseldon, Wiltshire, and died in 1822, having had several issue, including Sit Richard Arman, discussed at the beginning of this paragraph, who was created a Baronet in 1931. The Gregory Coat of Arms (mistakenly called the Gregory Family Crest or Gregory Family Shield) is blazoned in heraldry as follows: Per chevron or and azure, semee of estoiles of the first, in chief two open books proper, edged gold, bonded gules, issuant from clouds in base a globe proper. Crest: Upon a bridge composed of one whole and two half arches masoned proper, a griffin passant azure. Motto: Neminem Timere. 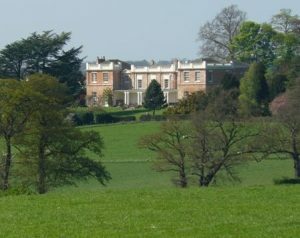 The family residence was the Manor House on Middleton-on-Sea, near Bognor Regis, in West Sussex, England, modern day United Kingdom. Daniel MacGregor or Gregor was born in Carlton, Lanarkshire, Scotland in 1672 AD. He went to colonial America and lived in Massachusetts Bay. He married Elizabeth Robinson and had the following issue with her: Elizabeth, Daniel, Ichabod, William, John, Hannah, Isaac, Abraham, Thankful, Jeremiah, and Josiah. His son Isaac Gregory (or McGregory) was born in Weston, Massachusetts in 1704. He married Grace Harrington and had a son with her named Isaac Gregory Jr. who was born in the same town in 1735. He married Mary Lawrence and had the following issue with her: Abigail, Mary, Samuel, Daniel, Mary, Joseph, Elisha, Anna, Mary, Amasa, Lucy, Sarah, Susanna, John, Stephen, William, and Grace. John Gregory was born in Lancashire, England in 1367. He married Mau Moton and had a son with her. This son was named Nicholas and he was born in Asfordby, Leicestershire, England around 1420. He had a son named Adam. This Adam Gregory was born in the same town around 1450. He married Ada Omeston and had a son with her named William. William was born in Highurst, Lancashire around 1470. He married Dorothy Parre and had a son with her named Hugh. His son Hugh or Hugo Gregory was born in Highhurst, Lancashire, England in 1502. He married a woman named Maria and had a son with her named Thomas. This son Thomas was born in Broughton, Nottinghamshire in 1520. He married Dorothy Beeston and had four sons and one daughter with her as follows: Thomas, John, Thomas II, Henry, and Dorothy Elizabeth. His son John Gregory was born in Nottingham, England in 1548. He married Alice Alton and had the following issue with her: Mychell, William, Edward Gregory, Henry, Elizabeth (Smalley), and Winifred. His son Henry was born in Broughton-Sulney, Nottinghamshire, England around 1589. He married Mary Goody and/or Abigail Goody. He went to Conneticut in colonial America. He had the following children: Abigail, John, Judah, Edward, Anne, Triphosa, William, and a few others. His son John Gregory was born in Notttingham, England in 1615. He went to Conneticut with his father. He married Sarah St. John and had the following issue with her: John, Jachin, Judah, Joseph, Phoebe (Benedict), Thomas, and Sarah (Benedict). His son John was born in Norwalk, Fairfield, Connecticut in 1636. He married Elizabeth Moulthrop and had the following issue with her: Elizabeth, Susannah, Sarah, Johnatan, Abigail, Joseph, Mary, and John II. His son Joseph Gregory was born in the same town in 1674. He married Hannah Russell and had four sons with her: John, Joseph, Josiah, and Daniel. 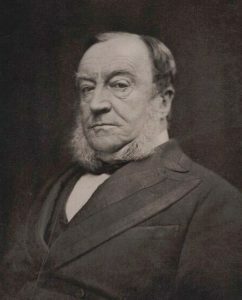 His son Josiah was born in New Haven, Connecticut and he had a son named Ezra. This son Ezra Gregory was born in Carmel, Putman, New York in 1760. He married Rebecca Hopkins and had the following issue with her: Anna, Johnathon, Daniel, Elizabeth, and Ezra. His son Daniel was born in the same town in 1789. He married Sarah Lamont and fathered the following children with her: Harrison, Francis, Elizabeth, Ellen, George, John, Lauara, Sarah Maria, and Luke. His son Francis was born in Ashtabula County, Ohio in 1816 and he passed away in Marshall County, Illinois in 1874. 3) John Gregory of New Haven, had issue named Joseph (1646), Thomas (1648), and then moved to Norwalk, and other children named John, Jachin, Thomas, Joseph, and Sarah. He was a representative for several years after 1662 and he died in 1688. 4) John Gregory of Weymouth, with his wife Hannah, had a daughter named Hannah in 1669. 5) Jonas Gregory of Ipswich, who in 1653 married, Hannah Dow. 6) Judah Gregory of Springfield, in 1643, married Sarah Burt, but little more about him is known, other than that his widow married Henry Wakeley. The book mentions the following Gregory Family Arms: A fir tree, growing out of a mount in base, vert, surmounted by a sword, in bend, ensigned by a royal crown, in the dexter chief paint: all proper. In the sinister chief and dexter base, a lion’s head, erased, azure, langued, gules. Quartering: Forbes: Azure, three bears’ heads, couped, argent, muzzled, gules. Richard Gregory was recorded as living in Virginia in February of 1623. He came aboard the Temperance in 1620 at the age of 40. Thomas Gregory was a convicted rebel who was sent to the Barbados in the late seventeenth century. He was a servant to Captain Jonathan Parnell. Benjamin Gregorie, age 24, came to Virginia aboard the Primrose in July 1635. Thomas Gregorie, age 15, came to Virginia aboard the Globe in August 1635. Alexander Gregorie, age 24, came to Virginia aboard the Abraham in 1635. Other early settlers in colonial America bearing this surname include Richard Gregory (Virginia 1620), John Gregory (one of the founder of Norwalk, Connecticut, came in the 1830s), Henry Gregory (Boston 1633), George Gregory (Virginia 1635), and Benjamin Gregory (Mississippi 1799). In Canada, Moses Gregory came to Saint John, New Brunswick came in 1784. Richard Gregory also settled in the same town in the same year, having come from New York aboard the Cyrus. Both were United Empire Loyalists (Americans who remained loyal to the British Crown during the Revolutionary War). In Australia, one of the earliest settlers with this name was Richard Gregory who came to Van Diemen’s Land (present day Tasmania) around 1829. George and Mary Anne Gregory both came to Kangaroo Island aboard the Hartley in 1837. In New Zealand, a family of this name came to Nelson aboard the Mary Ann in 1842: William and Robert (husband and wife) along with children Robert, Rhoda, and Martha Gregory. Charles Bolton’s American Armory (1927) contains one entry for this surname: Argent on a mound in base vert a tree in leaf proper crossed in bend by a sword proper hilted or, ensigned on the point with an antique crown or. In chief a pierced star of 6 points of the last. Impaling: Gules three lions ramp argent two and 1 a mullet in chief or Crest: a lion’s head erased argent. Engraved on a silver waiter owned by James Gregorie, 1740-1807. Owned by Edmund Gregorie, Charleston, SC. Matthew’s American Armoury and Bluebook (1907) contains one entry for this last name: Henry Gregory of Springfield, Massachusetts, 1640, son of Thomas Gregory, gentleman of Nottingham, England. Arms: Per pale argent and azure, two lions endorsed counterchanged. Crest: Two lion’s heads, endorsed, erased, azure, and argent, collared or. Crozier’s General Armory (1904) contains one entry for this surname: William Gregory of Boston, Massachusetts, from Scotland. Arms: Argent, a fir tree growing out of a sword in bend ensigned by a royal crown, in the dexter chief point, all proper. In the sinister chief and dexter base, a lion’s head erased azure, langued gules. Crest: A sphere, and in an escroll above, the word Altius. Motto: Non deficit alter. There are hundreds of notable people with the Gregory surname. This page will mention a handful. Famous people with this last name include: 1) David Michael Gregory (1970) who is an American television journalist and host of the Sunday morning news talk show Meet the Press on NBC from 2008-2014, born in Los Angeles, California, 2) Adam Gregory (1985) who is a Canadian country music artist who was born in Edmonton, Alberta, known for his hit song The Way I’m Made, 3) Alsye Gregory (1884-1967) who was an American suffragist and writer who was born in Norwalk, Connecticut, 4) Sir Augustus Charles Gregory (1819-1905) who was an English-born Australian explorer who went on four major voyages between 1846-1858, and was also a member of the Queensland Legislative Council, born in Farnsfield, Nottingham, England, 5) Bernard Gregory (1919-1977) who was a well-known French physicist who was born in Bergerac, becoming the Director of CERN, a European organization that conducts research on particle physics, 6) David Gregory or Gregorie (1659-1708) who was a Scottish mathematician born in Aberdeen who taught at the University of Edinburgh, who wrote commentary of Isaac Newton’s ground breaking work Principia, 7) David Spencer Gregory (1970) who is a retired English professional football (soccer) player who played Midfield for six different teams, including Ipswich Town, between the years 1987-2004, who was born in Polstead, England, 8) Deborah Gregory who is the author of the popular book series The Cheetah Girls, which were turned into popular movies for the Disney Channel, having been born in Brooklyn, New York, 9) William Vois Gregory (1877-1936) who was a Democrat who was a member of the United States House of Representatives from the State of Kentucky from 1927-1936, who was a former United Stated Attorney for the western part of his state, 10) William S. Gregory (1825-1887) who was the first mayor of Kansas City, Missouri in 1853, having been born in Shelby County Kentucky, and 11) William George “Borneo” Gregory (1957) who was a United States Air Force Lieutenant Colonel born in Lockport, New York, who became a NASA astronaut who went on the STS-67 mission. Two of the main symbols in the Gregory Coat of Arms (erroneously called the Gregory Family Crest by those unfamiliar with heraldry and genealogy) are the two bars azure and cross crosslets, each which have their own unique meaning. The bar is a thin, horizontal stripe across the centre of the shield, usually in groups of two or three (any more and there would be confusion with barry, a treatment of horizontal lines of alternating colors). Bars can be a distinctive and easily recognized device, early examples include those awarded by Henry III of England to the family MAUDYT Argent, two bars gules. It’s possible that the bar represents a person who sets the bar on honor and conscience against more unsavory temptations and passions. The tincture (color) Azure (blue) represents truth, stength, faith, loyalty, and chastity, among other virtues and characteristics. No other symbol appearing in heraldry is subject to as much variation as the cross. Medieval Europe was a deeply religious and Christian and many of the nobility wanted to show their devotion by adopting the symbol of the cross as part of the arms. Since no two arms could be identical there arose many variants of the cross. The cross crosslet is one of these, being symmetrical both vertically and horizontally and having an additional cross bar on each arm. Wade suggests that these additional crossing signify “the fourfold mystery of the Cross”. I am a direct line from Lord of Fresley Nicholas Asfordby Gregory, III down to Andrew Gregory, my great grandfather and I am from his daughter, Effie Gregory. The Gregory’s in this line settled in Cades Cove, TN and Russell Gregory is burried at Primitive Baptist Church in the Cove. Gregory’s Bald is named after him and can be hiked to from the Cove. My family too, is related To Lord Fresley and Ashfordby Gregory II down to Lott Gregory 1742 in Sampson county, North Carolina !! I’m looking for any info on my grandpa James Gregory from the Galway region in Ireland….can anyone give me any ideas where to look to find any of this info? its like looking for a needle in a hay stack… Im trying to see if our family connects to one of these Gregory families!